There is still a great deal of confusion regarding our state marijuana laws, and rightly so. Maryland is one of a few states that have not taken a hardline stance one way or the other on the topic. Maybe it’s because we have a governor with national political aspirations who doesn’t want to show his hand this early in the game. Or maybe the onus falls on the lawmakers in Annapolis who just cannot seem to agree about the direction our laws are headed. We take calls all the time from prospective clients and those who just want to gain an understanding of the current drug statutes. Hopefully this post will paint a clearer picture of the confusing work our elected officials have done in the past few years. If there were one word to describe the current state of Maryland marijuana policy it would be scatterbrain. Each year during the legislative sessions we see bill proposals ranging from complete legalization to decriminalization, and each year it seems nothing is done. And over the course of his term our governor has spoken frequently on the topic, but at the same time has said next to nothing. The laws reflect this sort of indecision. The way we see it, a government can take four basic stances on the personal use of marijuana; you can have complete criminalization, decriminalization, legalization for medical use, and complete legalization. With respect to our state you can throw out complete criminalization and complete legalization. It is definitely not legal to spark up a joint at a local bar or in the privacy of your own home. But it may not be criminal to spark one up in your house. Somehow Maryland has managed to fall somewhere in between having legal medical marijuana and decriminalization without having fully effective laws for either. We’ll address and explain the laws for both medical use and decriminalization in two separate paragraphs as to not add to the confusion. As of October first of this year, our state is officially one of the twenty or so states that have ratified medical marijuana legislation. But before rushing to make an appointment with your general care physician it’s important understand that just because the law is in effect does not mean it’s functional. The state medical use law does nothing more than put the wheels in motion to eventually make marijuana a legal treatment option. It only grants research institutions and hospitals this privilege, so your private practice doctor will be on the outside looking in, even if he or she firmly believes in the treatment powers of pot. The research institutions are responsible for adhering to strict standards of data collection and patient monitoring, and there is no research institution that currently has this sort of policy in place. At the end of the day it could be years before the first patient is treated under this law. Marijuana decriminalization laws have been in place for a few years now, but you could probably count the number of cases where this law actually served its purpose on one hand. 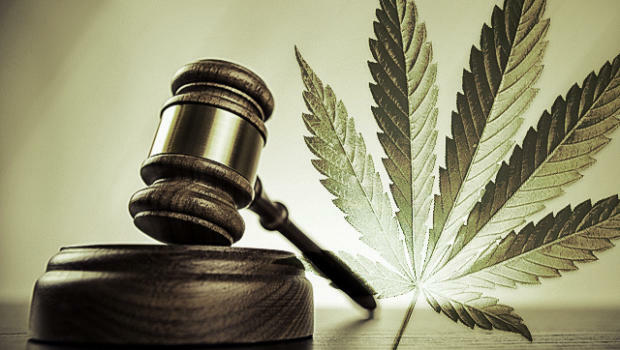 The decriminalization law allows a possession of marijuana defendant and his or her attorney to present evidence to the judge that the pot was used out of a medical necessity. If the judge agrees then the maximum penalty goes from either a year or 90 days in jail to a small fine, similar to the penalty of a traffic infraction. The inherent problem with this law is that defendants must first go through the criminal process before being given the opportunity to present their case in court. And by the criminal process we mean a possible arrest, having to post a bail, being served a criminal summons, and having your name listed as a criminal defendant on a public website. And then when you get to court you have to disclose your confidential, protected health information to a judge. The only defendants who typically benefit from this law are those that have multiple criminal convictions, and are actually facing jail time for a marijuana possession offense. There are so many questions that this law does a terrible job of answering. If you have a legitimate medical need to use marijuana why should you be at risk of being arrested for possessing a small quantity of it? By passing this law a few years ago the legislature and the governor already acknowledged there might be a need for someone to use marijuana. So what’s the point of only letting research hospitals incorporate the medical use law? Surely we can assume that the lawmakers did their own research before passing the decriminalization law. Or, as is the case with many of our state criminal laws, it was probably just vote and let the lawyers and judges figure the rest out. 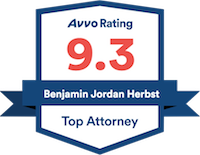 If you have questions about any of our state drug laws, or if you are a defendant searching for an attorney feel free to contact marijuana lawyerr Benjamin Herbst anytime at 410-207-2598 for a free consultation.